Sony has confirmed that Team Ico leader and the mind behind Shadow of the Colossus, ICO and the upcoming The Last Guardian, Fumito Ueda, will officially be leaving both Sony and his studio. The news comes from Gamasutra as they received an official statement from Sony. We initially ran news of Ueda's leaving Sony as a rumor in late November. It was then that sources were telling Eurogamer that the famed game creator was leaving Sony after struggling with the production of The Last Guardian. While Sony's clarification does confirm that the rumor of Ueda's quitting is legitimate, it does not go so far as to confirm the bits about the developer's struggles with the publisher. 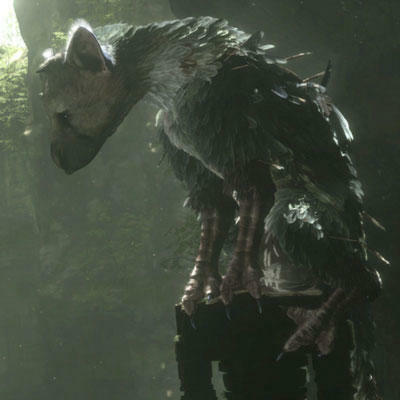 Fumito Ueda, according to Sony, will be finishing The Last Guardian on a contract basis. This piece of the confirmation is also consistent with the aforementioned rumor. While this is certainly a blow to PlayStation die-hards, gamers may see Ueda go on to reinvent himself as a developer. He is, arguably, one of the most creative minds in gaming and could almost certainly do a lot of work as an indie designer on unique projects. If that's the case, and he develops games for more than one platform, this news might not be so bad afterall. That is, assuming Ueda sticks with game development. Lets hope he does. The initial rumor from Eurogamer suggested that Ueda would be leaving Team Ico to work on Personal projects. The Last Guardian is currently slated to ship for the PlayStation 3 some time in 2012. The game has been delayed several times throughout the course of development, which may correlate with the news of Ueda's departure, so this could lead Sony to push the project back again. We'll have news on both this game and Fumito Ueda's future as it comes.